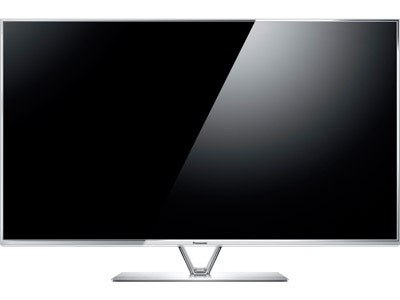 60 inches is the second largest size in Panasonic's 2013/14 LED lineup. The TC-L60DT60 sheds a few of the features and new design of the WT60 to make it solid offering in the LED TV realm. The IPS LED panel that grants a 178 degree viewing angle is one of the most useful features followed by the Viera Connect suite paired with the Touch Pad controller. Panasonic's IPS LED panels provide fantastic viewing angles. Especially when compared against other LED and LCD sets. The TC-L60DT60 has one and really takes away the problem of color and contrast degradation as you enter the side viewing angles that are typically unavailable. Panasonic gave it a 178 degree rating. That covers just about any viewing angle you can come up with. The TCL60DT60 has 1920 backlight scanning to push the limits of the panels native refresh rate. This feature provides extra smoothing in fast motion and side to side panning. Image edges also get some smoothing so you get the sharpest image possible. It works well and can be switched off if any negative side effects appear for content that may not need it. This chip is new to the DT60 series. It is a much needed addition that speeds everything up from web browsing to the loading of Viera Connect apps. Slowness has been the bug plague of smart TV platforms of the past. This processor is an attempt to remedy the situation with nice results. The Hexa Processing Engine comes with the processor and boosts image processing speed. The DT60 does away with the built-in camera but keep the Touch Pad Controller. Losing the camera is not necessarily a bad thing. Implementation of devices like these have not really been perfected to the point of needing them on the set. A camera is nice for Skype calling though. The Touch Pad Controller is included with the TCL60DT60. It is supposed to speed up web browsing and navigating through the smart TV platform. We tried it last year and didn't think it brought much to the table. LG's Magic Remote really hit the sweet spot in that arena. The Touch Pad does allow for the new voice interaction features to help with search and reading on screen text. The TC-L60DT60 comes with three HDMI ports and three USB ports. That should provide plenty of space for all your devices like blu-ray players and video game consoles. The WT60 has a media player used through the USB ports that will play all your video, music, and photo content. Three ports here will be plenty for hard drives and flash drives.